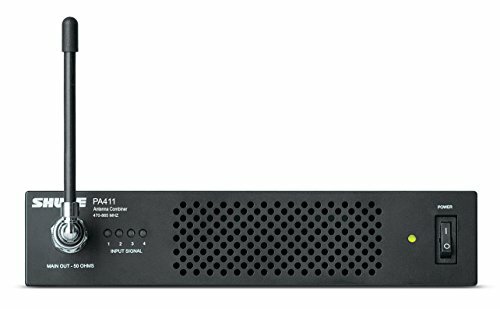 The Shure Antenna Combiner PA411 distributes DC power and RF signal for up to four Shure PSM300 transmitters. The compact half-rack system significantly reduces the amount of antennas and power supplies needed when using multiple systems.Distributes DC power and RF signal while reducing rack clutter for up to four PSM300 systems. 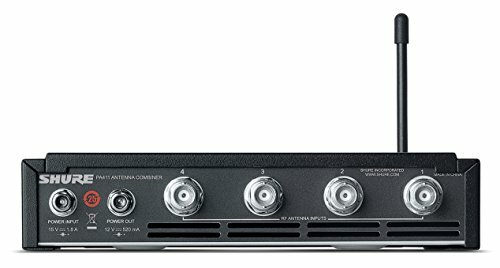 The Shure antenna combiners main RF output connector connects to any antenna with a BNC connector; RF LED indicators display signal present and signal overload per input.